I think it’s safe to say that I shop a lot, which doesn’t really mean I BUY a lot of things but that I like to observe what’s going on in the shops constantly so I do my rounds practically everyday in different parts of London. So, I went into a mini state of curiosity when I came across these shoes by Harlot Harlot, a label I had never heard of being stocked at Office and shoe boutique Poste Mistress (owned by Office). Where did it come from? Why I hadn’t seen these before? 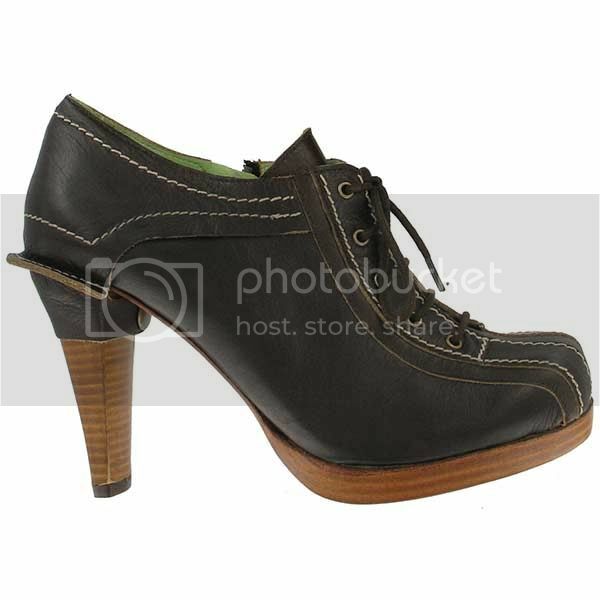 Why do these very un-Harlot-esque shoes have such a name? I’m more fascinated than truly attracted to them. I’ve never seen heels wrapped at the top like that. The shapes are a little odd and off-beat and most definitely belong to the ‘ugly-interesting’ shoe category (a description that seems to apply to a lot of the stuff seen on the catwalk for fall). I feel the same way about them as I do about Irregular Choice, another one of those ‘ugly-interesting’ shoe categories – I just never know which I way I’m gonna swing – completely loving them or being repulsed by them. Still, another day in London, another label to keep in mind. These shoes are definitely different! i did like the shades detail in the brown one. it is 1.40am my time and i just read your post. 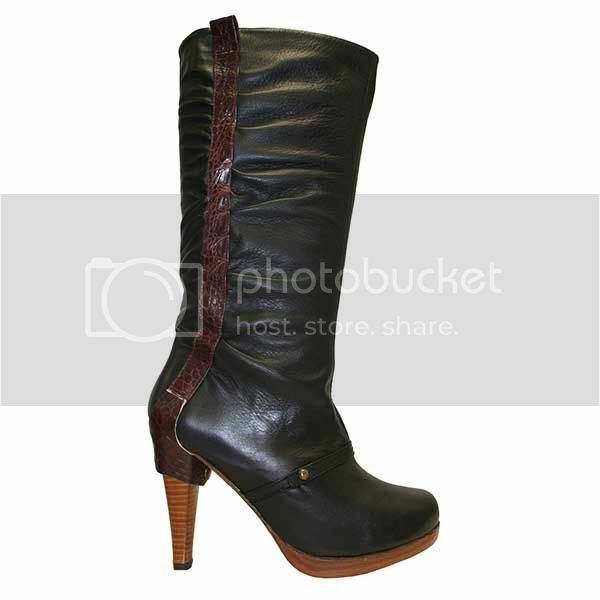 seeing as a pair of those harlot boots found themselves on the “i adore them” side of things – i promptly ordered them. yes, buying shoes at 20 to two in the morning is not a sane thing to do, alas. thanks for increasing my debt-load and for introducing me to another line of shoes… it is appreciated. ^Argh! Not only am I adding to my own debt problems, I am increasing others too……… how ever will I live with the guilt…. it’s just all too much for me! Was this meant to be my life purpose – aggravating people’s debt? I must promptly go and do a bit of soul searching….. In any case, you’ve bagged yourself a pair of nice boots! I’m still on the fence about them, but with my schizophrenic nature of loathing things one minute and then loving them another, I’ll most probably be handing over the plastic as well…. susie, really. don’t feel so badly about “aggravating” my debt problem. i’m very well versed on doing that myself! These do have a certain charm to them… i especially like the ones on the right..
enticing range of garments or textile Business. possible duration at most coompetitive pricing that meet customer requirements and specifications. in Garmenst and Apparels. we also have Made ups in Garments Handicrafts. in that we have our all products listed as a Digital Catelouge. so pl visit our web site http://www.remtexexport.com and give us your precious feed back. 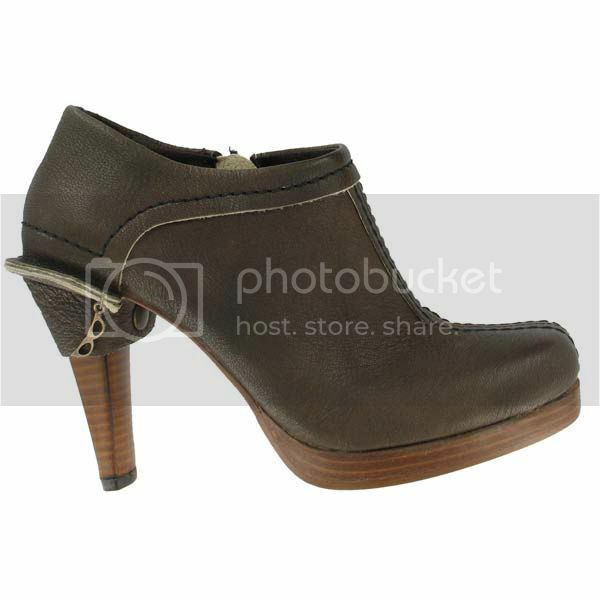 Harlot shoes are creation of two british designers living in Spain. 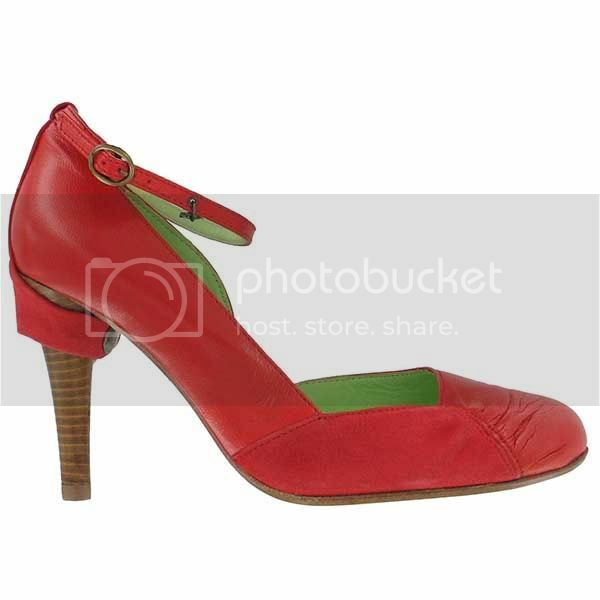 The shoes are manufactured in Portugal. I think they are great creations.